Introducing Cremo Face Products with Activated Charcoal. Deep clean, refresh and put your best face forward. More new products from the crown. 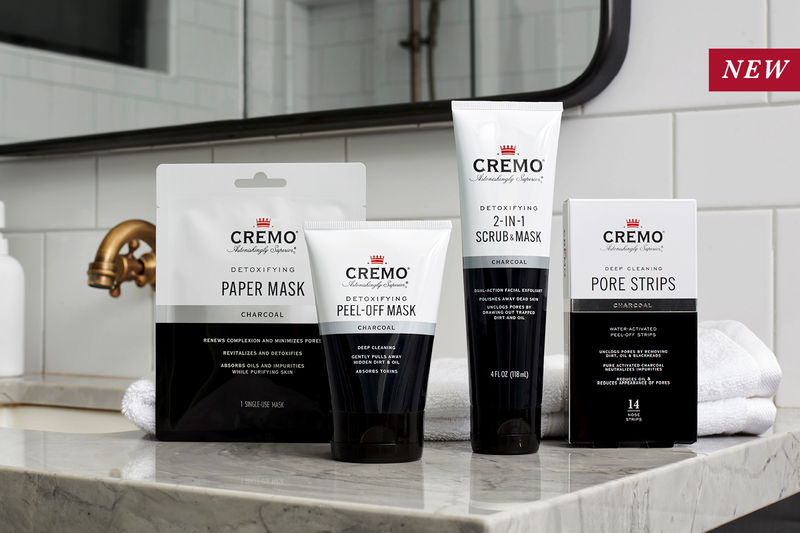 Cremo’s deep-cleaning face products have the magnetic power of activated charcoal to remove impurities, draw out dirt, unclog pores, detoxify the skin, reduce oil and eliminate blackheads. Your face will be cleaner, smoother & brighter. So what is Activated Charcoal? Activated charcoal is made by exposing carbon to gases like argon and nitrogen at very high temperatures. Through this activation process, carbon particles develop pores that vastly increases their surface area. In contact with the skin, activated charcoal not only grabs toxins and impurities like a magnet, its coarse texture gently exfoliates as well. It’s an Astonishingly Superior way to Put Your Best Face Forward. Subscribe to the YouTube channel for helpful grooming tips, new product announcements and exclusive giveaways.